• I introduce the restriction sites BamHI and HindIII into my insert by PCR with Pfu (blunt end polymerase) and gel purified it. • I clone my insert in a pJET1.2/blunt vector. I get enough colonies and I tested few of them with an internal insert primer and a vector prime via PCR. The results are positive. The problem came when I digest my insert from pJET and try to clone it in a pSecTag vector. • I digest my insert and the vector with HindIII and BamHI in Buffer Red during 1.5h at 37ºC (fermentas). I purify the insert and the vector from the gel and checked that all fragments run at the correct size on a gel. All correct. With a primer for the vector the result is negative. For transformation i'm using chemocompetent DH5-alpha, with a heat-shock of 42°C at 45 seconds. I tested the bacteria with a plasmid before using them. I change condition several times but always obtain the same result. I follow all the protocols but I don’t get my construction. Anybody knows where the problem is? Thank you. Even minute amounts of undigested vector will contaminate your transformation. 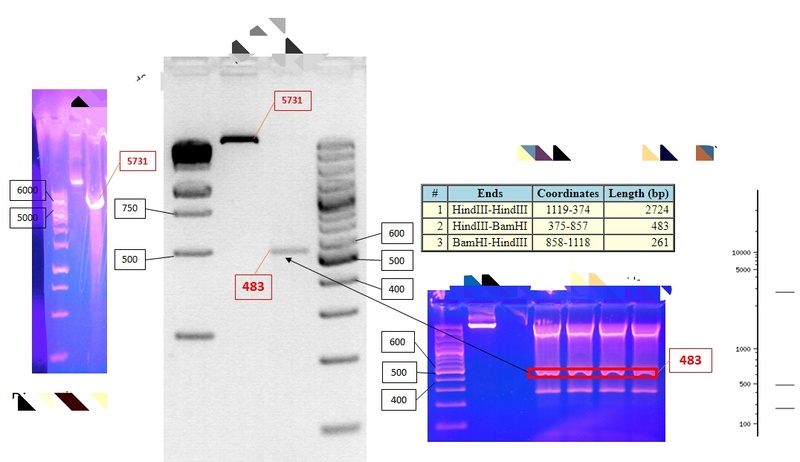 You could PCR amplify your insert from the pJet cloning plasmid and then digest the PCR product with BamHI and HindIII. In order to get rid of the pJet template either gel purify the digested insert, digest pJet with some times which cuts it multiple times (less preferable) or put everything on a column and hope that pJet is diluted enough (less time consuming but a bit risky). The other thing you could exploit is that pJet is ampicillin resistant while your target vector is also Zeocin resistant. If you add Zeocin to your E. Coli it will kill a pJet positive clones while sparing the pSecTag positive clones. Your insert is fairly small so using a bit more DNA than usual won't hurt. If you can post some pictures of your gels this might be helpful as well. Not the answer you're looking for? Browse other questions tagged molecular-biology cloning restriction-enzymes competent-cells or ask your own question.